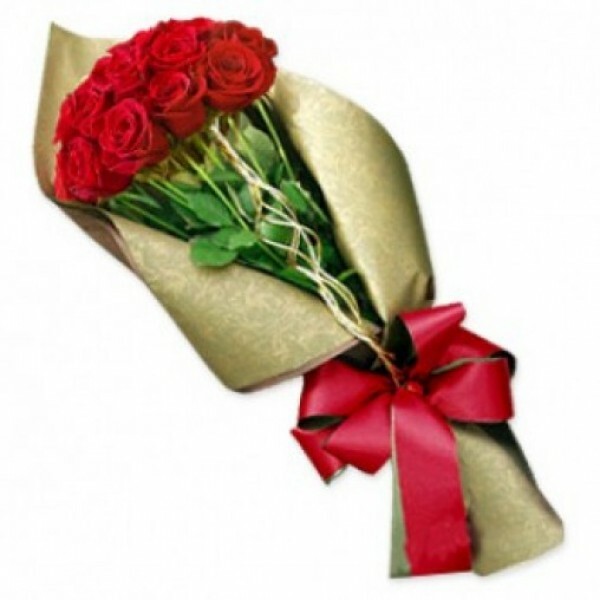 Redefine love with this luxurious Roses in Gold bunch. Highly charming bunch, made with a Dozen Roses, wrapped in a Golden Wrapping paper and tied with a beautiful ribbon bow paper to give it a sense of luxury and pride. A perfect gift to show that you are proud of your love.